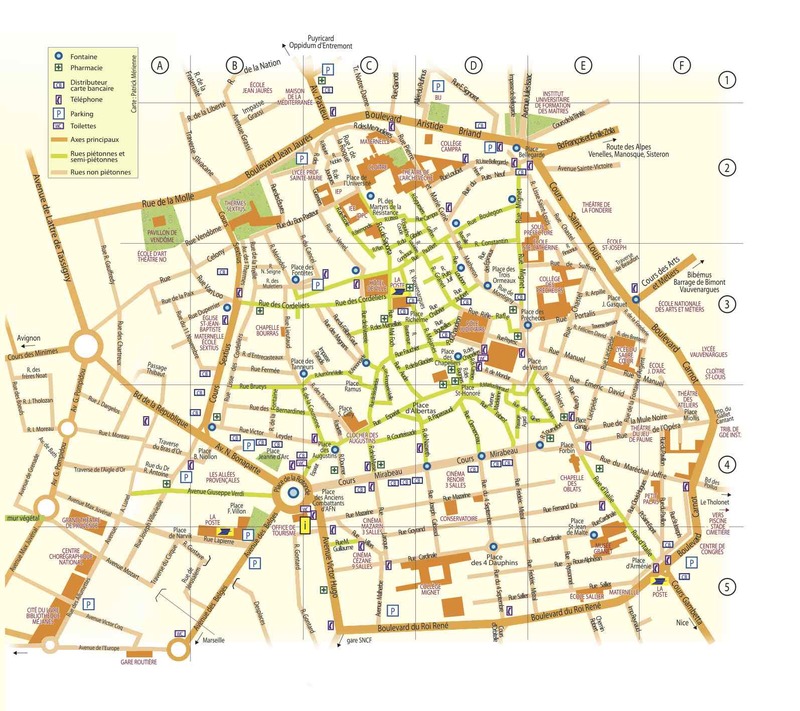 There are 360 streets in Aix’s city center. I know because I counted last night on a map of the centre ville while I was watching “Miss Congeniality” dubbed in French. Here’s a map. That tangled web north of the Cours Mirabeau is the old city. My school is on Rue du Bon Pasteur. Can you find it? This may explain, perhaps, why I’ve gotten lost every single day in different parts of the city. Yesterday, for example, I decided to take a new route to school, since I thought I was getting familiar with that part of town. I discovered that I did not. In fact, looking at the map now, it looks like I took the right street until about 2/3 of the way there, when I turned in the completely wrong direction and got exhilaratingly lost among the rues. Really, though, I’m never lost. I always have a vague idea of which way to walk, and I can find my way from familiar streets and cafés. To be lost implies the opposite: no sense of where you should go, not even a sense of where you want to go. It’s an overwhelming feeling. But I’m just wandering, winding my way to some destination. I identified with J.R.R. Tolkien’s quote, “Not all who wander are lost,” long before I came to Aix. I have never known exactly what I want to do with my life or exactly who I want to be. I have no destination with a roadmap showing the fastest way from Now Me to Future Me. Sometimes I wish someone would give me one. But until then, all I can do is what I do in Aix: take streets I’ve never seen before, stop in some stores with sales, and wander with purpose. I don’t know where I’ll end up, but I’ll get there eventually. Oh my God, you’re your mother’s daugher!! !